Last week Skylum published a update for the Luminar 2018 raw converter which uses AI to optimize sky areas in your images with just one ruler. After being notified about the update first i thought after all the promises Skylum made they did an update with with the long awaited DAM modul. If you tkae alook on the website now this update is promised to be released in December. 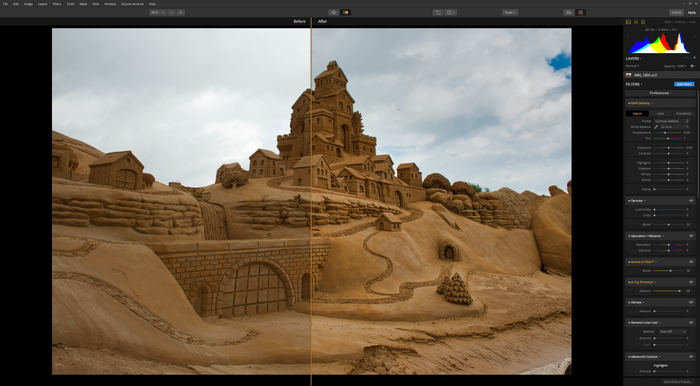 Maybe as a substitution Skylum now released a update for Luminar which mainly features the new sky enhancer which supports the optimization of sky areas with just one ruler. Sky areas are supposed to be masked automatically with the help of AI without the need to paint a mask for the sky area manually. 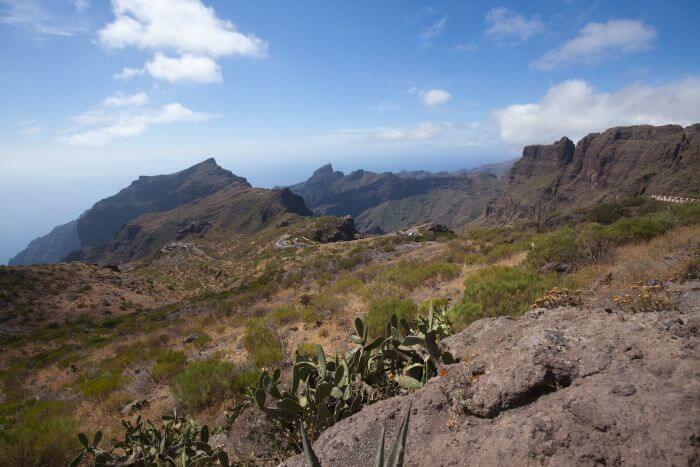 This is an interesting feature for landscape photographers and will shorten the workflow on the images a lot. Lets start with an example where the sky area already looks pretty good in the unprocessed raw file. And in this example all you need to do is to move the sky enhancer ruler according to your taste. 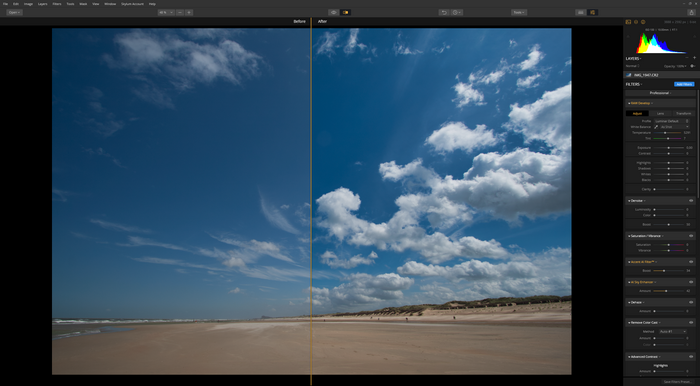 The sky enhancement can be done automatically with the help of the ruler but also a brush tool or a gradient mask is supported like in most cases in Luminar 2018. But in this example no other tools were used to enhance th sky areas and the result is pleasing in my opinion. Skylum states in the update notes that this new feature might not work well or at all where the sky is out of focus or there is not enough contrast. Too check this out i took a capture with low contrast and where the sky area is grey. Even in this situation the automatic doesn’t fail and you’ll get the expected result. Of course don’t expect miracles if the sky area is low contrast or no detail because of the weather conditions. In these situations you should use the new feature carefully otherwise you’ll funny color effects. I did a couple of pictures with this new function and so far the automatic feature in combination with the Accent AI filter works very good. So far i didn’t occur a situation where the new feature failed completely. But there images like with blue sky and the reflections in water ares where this new feature has a hard job to distinguish between these areas. The improvement just with the Sky Enhancer and the Accent AI filter are significant. Besides the Sky Enhancer the update contains the necessary changes to upload images directly to FaceBook or Twitter since these platforms changed authorization processes. 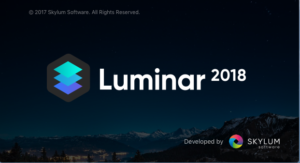 The update for Luminar 2018 is free of charge for registered users. But of course will all look forward to the upcoming DAM modul since Skylum announced their raw converter as a competitor to Lightroom. 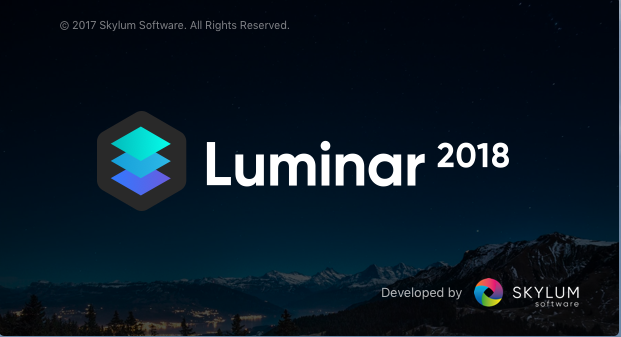 And if you order Luminar via this link and the code TUXOCHE you’ll save 10€ on the regular price of Luminar.